Providing a law personal statement during the procedure of the registrations process is a compulsory prerequisite to get in to a reputable institute. 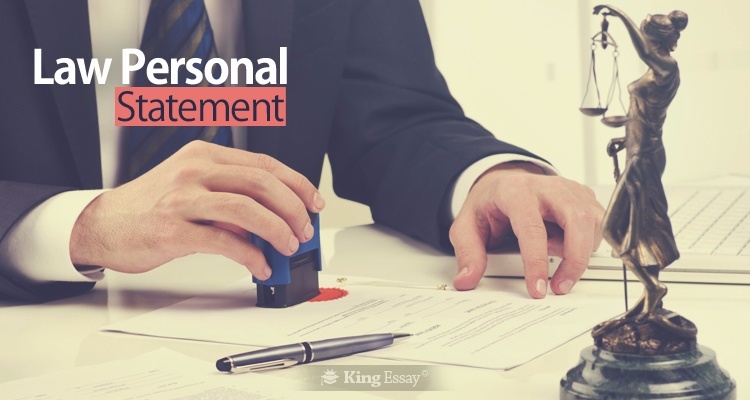 There are several qualities which a good law school personal statement must possess in order to make an impressive impact on the admissions officers. Some students may be responding to the questions imposed in the university personal statement prompt with all due honesty, but may come across as arrogant or boastful. Are there any standards or conventions of writing which personal statement writers must adhere to? Are there any statements which need to be avoided at all costs? King Essay professionals administer personalised assistance to help students get admittance in to law school. Let’s have a closer look to get some answers. People often get the most anxious when they are meeting someone for the first time. Most often a verbal introduction will be provided but still at the time of initially encountering the person we tend to be on tenterhooks. The same is the case with an effective personal statement it should provide just enough information to add a bit of suspense to the actual first encounter. It should make it obvious to the admissions officers that you have the necessary passion to pursue a career in law. Director of admissions often encounter students, who are able to exhibit a passion to devote themselves to the subject of law but unable to present the enthusiasm required to complete the higher qualification. Remember each reputable school will receive more candidates than it has capacity for so make every word in the law or criminology personal statement count. The personal statement is a good way of approaching the entrance procedure in a head-on fashion, which is critical to success. Do not use this chance to just simply forward your resume. This just shows a very laid-back attitude which will not get you in to any school. Do leave a little bit of uncertainty in your composition. We do not need to know each and every intricate detail of the incident. We only need to know about the consequences related to the conclusion. Display dedication to achieving your academic law goals related to the school as well as in personal life. Everybody relishes a person who is well grounded to their orientation. Even when you have to respond to a question which interrogates how proud a certain event made you feel, always reply humbly. Pride is one of the worst of the Seven Deadly Sins. It could make your entire law application come across as arrogant or conceited. King Essay UK administers 24/7 customer support with affordable prices and seasonal discounts for the convenience of all of its consumers. We strictly adhere to maintaining the confidentiality of all the private information provided by customers related to their law application as well as the personal statement. King Essay will provide guaranteed plagiarism free work with no duplication. We even administer a guarantee to provide on-time delivery of your task completed according to your custom instructions. Our good services will also include the complimentary composition of a title page and a bibliography section for your school project should the need arise. We administer a quality satisfaction guarantee with each assignment which includes the benefits of being able to get unlimited amendments or revisions to your project. We believe in maintaining open communication with all of our clients, if you have any questions or suggestions do not hesitate to contact us directly.